opinion There’s been a lot of heat in the last week over the issue of asbestos lining in thousands of telecommunications pits around Australia, being remediated as part of the National Broadband Network (NBN) rollout. Certainly, it would seem that a number of Telstra sub-contractors – (and probably more accurately, only a few work crews working under those sub-contractors) – have grossly mishandled the deadly material as part of the works in a number of areas around the country. 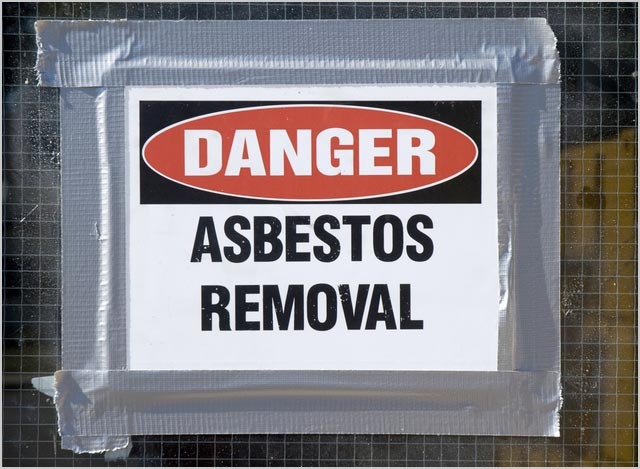 For this, they should be condemned – the carcinogenic nature of asbestos is well known, and in this day and age there should be no complacency with regards to how it should be dealt with. Telstra is contracted to remediate all pits and ducts on behalf of NBN Co, in preparation for their contractors to actually roll the NBN fibre. Which is why all the finger pointing at NBN Co is so badly misplaced. This is a Telstra responsibility, and that’s what people – (and in particular, many of our politicians) – need to start being honest about. To their credit, Telstra seems prepared to take responsibility for the issue. Given they are contractually obliged to do so, this seems a fairly straightforward position for them to take. Steps are already underway to make good on the issue. Telstra’s governance of their project to conduct the remediation activities seems to be at fault here. Of course, the opposition has been firmly on a front-foot attack posture over the issue, claiming another failure in the league of the “pink batts” project. Given that it was apparent that NBN Co identified the risk and that they sought to remediate the issue via Telstra, exactly how anyone can suggest the government and NBN Co didn’t take the issue seriously is something of a mystery. Unless of course it is a politically motivated position? Surely not? Under his plan, most of the asbestos lined pits in your street, in front of your house, or even in your garden, are going to be left there. Would you be happy with that? The current FTTP NBN plan not only provides for Australia’s telecommunications needs well into the future – (and with a far longer lifespan than the current alternative FTTN plan) – it also gives us the opportunity to fix the problem of asbestos in our streets, once and for all. Despite their bluff and bluster about the dangers of asbestos, they are proposing to just leave it in the ground – for someone else to fix another day. Their plans to kill the current NBN look more irresponsible as time goes by, and we deserve so much better than that. This is a chance to fix it, and to fix it now. Under his plan, most of the asbestos lined pits in your street, in front of your house, or even in your garden, are going to be left there. Would you be happy with that? Despite their bluff and bluster about the dangers of asbestos, they are proposing to just leave it in the ground – for someone else to fix another day. 1 in 3 houses contains asbestos. Are you proposing that the Federal Government also demolish a third of our housing stock, and that doing otherwise is “irresponsible”? Surely, asbestos in the actual residential premise where people sleep is more upsetting than asbestos down below the gutters? Nice living in a world where cost can be ignored. Firstly, the cost of remediating the pit and duct is a Telstra expense, that they have agreed to cover as part of the definitive NBN agreements. – none of Telstra, the government, or NBN Co owns the vast majority of the premises in this country – you want the asbestos removed from your house? You own it, it’s your expense. – asbestos in the ground has a greater chance of entering the water table than does asbestos in the walls of your house. I don’t know about you, but I’d rather not drink asbestos. You already do, AC pipe are the most common pipe that are currently in use in AU (late 1930’s up to late 1980’s (I think)). One techniques to remove asbestos amount with other things involves keeping it wet so it does not become airborne. There is nothing wrong with eating asbestos from health concerns. He’s not ignoring the cost, he’s pointing out that as the pit remediation has to happen with the NBN in order to complete the rollout, removing the asbestos can be done now in tandeem, i.e. 2 birds with one stone, and under the Coalition plan, it will be left alone for another infrastructure rollout to happen. Or did you read a different article to the one I did? Asbestos is perfectly safe so long as you don’t inhale / injest any of the fibers. So in a house it is fine until you start drilling holes, sawing, sanding etc, solution leave it where it is until you want to renovate, or rebuild. In a telecommunications pit, where you have any number of people accessing the pits, making changes, hauling new cables etc, even before the NBN rollout began it is not acceptable to just leave asbestos there. Click on the transcipt button. ELIZA HARVEY: Why do you think people are so fearful about the work that’s taking place in these Telstra pits? BRUCE ARMSTRONG: We’ve seen the difficulties that many men have experienced, Bernie Banton and others, and I think the community has not either been educated to or perhaps caught the difference between the circumstances in which those men were exposed and the circumstances around asbestos cement sheeting. And I think that people are starting to attach to being even close to asbestos cement sheeting the same kind of hazard as men experienced in Hardie or Wittenoom, and this is just not the case. It is absolutely negligible. Beat up might be a too strong a word, but the media have certainly been stretching this to the nth degree. Asbestos is a scourge, and there’s already a plan in place to remediate all of these pits. The media are going for the shock and awe before the real substance of the story. Completely agree, not arguements from me there. Hardly going to see anyone doing this sort of thing anymore though. Work should stop immediately, AND Telstra should fix the problem quickly. Asbestos is safest left in the ground. There is no real argument here. The current NBN plan recquires a lot of asbestos to be disturbed. Therefore there need to be safety precautions. NBNco and Telstra have been doing that. If the government expects a higher standard of safety (ie overseeing any contracters anywhere near asbestos) they should expect it to cost more and take longer. The Coalition plan requires less disturbance, and because they use FTTN to get over the “hump” of our current broadband infrastructure being inadequate, when they eventually upgrade to FTTH it will be at a slower rate. There is nothing new here so the choice between the two remains the same (and im sure your choice will remain full FTTH). This is scaremongering Renai, you should research and then retract that particular paragraph. It is much safer to leave it in the ground. Additionally the NBN plan wont get rid of all asbestos, or even most of it. It will only get rid of the pits that are too small to fit the required equipment. The majority of asbestos will remain in the ground, under either plan. Renai didn’t write the article…. asbestos in the ground has a greater chance of entering the water table than does asbestos in the walls of your house. I don’t know about you, but I’d rather not drink asbestos. Renai didn’t write this article. Asbestos is 100% safe in the water table so there would be no issue there. It sounds scary (much like putting up a big tower emitting “radiation” sounds scary) but its not actually a risk. When asbestos in drinking water has been linked to gastro-intestinal cancers? Yeah, nah, sorry. Still not drinking it thanks. Even if there was some as yet unidentified risk, I would think the focus would be on removing asbestos from water pipes for example? Considering the shaky ground of any scientific claims about the danger of asbestos just sitting in the ground this just becomes a thinly veiled Telstra witch hunt. Asbestos pit and pipe will still be in the ground after either NBN plan goes ahead. It will still be in the water table even if you can magically find every telstra pit and pipe that has asbestos and remove it. Furthermore the with hunt is based on the assumption that somehow this wont effect the NBN. Read the Joint Committee transcript. Telstra does not have to make every pit and pipe fit for purpose, they simply dont get leasing cash flows from the ones that arent fit for purpose. NBNco cant force telstra to fix every bit of asbestos infrastructure at no cost, Telstra will simply fix it in cases where the leasing income is higher than the cost of fixing it. In cases where it is too expensive to fix Telstra can release it to NBNco and they take on the cost of remediating the area. Whilst there is no definitive proof of the association, you claimed it to be “100% safe” – ie: completely zero risk. So I only need to demonstrate one instance where the link has been demonstrated to disprove your statement. Asbestos exposure has definitively been linked to mesothelioma, lung cancer and asbestosis . Could gastrointestinal cancers eventually be considered among them? The simple answer: possibly. In a study published in 2005, a clear association was demonstrated. A group of 726 lighthouse keepers in Norway were studied for cancer risk between 1917 and 1967 and were assessed again between 1960 and 2002. Among a subgroup of lighthouse keepers — a segment who ingested asbestos-tainted drinking water — the risk of some gastrointestinal cancers, specifically stomach cancer, was statistically elevated. The risk of developing a gastrointestinal cancer among this group was increased by as much as 450 percent. Results from this study aligned with findings from similar reports. Completely broken logic. Likewise you can find plenty of “studies” which show radiation from mobile towers is dangerous if you look hard enough and lower your standards. I’m sure you will want the last word on this but to sum it up, I dont think delimiter should be publishing scaremongering articles with its focus on fact based journalism. I very much doubt Delimiter would post a similar article scaremongering about how all mobile towers should be ripped down because they cause cancer. This issue has been spun out of proportion by both sides of politics, just because your particular spin is pro-NBN doesnt exclude you from being intellectually honest. Sorry, but you said 100%. You were wrong. Thanks for playing. AU has been drinking it for years, there should be some verry good stats if it does cause helth issues. If you want to replace all water pipes that are AC you would be up for a bill $100 Billion+. Considering most cities around Australia will have some form of asbestos water mains, one wonders how many of these (invisible) fibres are consumed daily. I suppose the next big media beat up will be when there are asbestos water pipes in most cities around Australia. Then there is the Ray Hadley’s of this country. One wonders if a Ray Hadley owned an old house with a asbestos roof and hired a contractor to remove the the roof, who then sub contracted that job out to another contractor who contaminated the neighbours properties and pubic (footpath) areas, just like what happen last week with Telstra pits. I wonder whether the Ray Hadley’s would blame Ray Hadley the owner or the contractor or the sub contractor? Food for thought. I left Telstra nearly 20 years ago. Asbestos pits were being replaced way back then. Telstra had work practices in place, which I believed provided for the safe removal of them. Now today, Telstra has contracted out this work to Service Stream, who have subcontracted that work out to sub contractors. It would seem the practices of 20 years ago aren’t even being followed today. This is more of the fault of the employers of the sub contractors than anyone else, but the blame is being placed on Telstra and NBN. I’m not quite sure why these sub contractors seem to be no being held accountable for their actions. On Monday night we have reports a Rugby League player relieved himself on the field at Suncorp Stadium in Brisbane. Who gets fined – the club. Why aren’t people held accountable for their (own) actions any more? These days, it seems everything is always someone else’s fault. PS – I am pleased Telstra has taken ownership of this situation, it’s just a pity the media needs to link the problem with NBN. They also could have taken better aim at the subcontractor concerned, so they are identified and the general public are aware of who they are. Um, asbestos doesn’t dissolve in water, so it’s not going to enter aquifers. Fibrocement is NOT that evil… The evil stuff is the loose fibers, especially raw blue asbestos. Also, a lot of people working with the raw stuff NEVER got cancer. It’s certainly very dangerous. What gets me is certain people, and the media, are acting like its plutonium or something. This is scaremongering Renai, you should research and then retract that particular paragraph. Renai didn’t write that paragraph. Or any of the others. And if you think there are no broken/damaged asbestos lined Telstra pits out there, even pre-NBN, you’re fooling yourself. So future technicians working on copper or fibre can accidentally disturb it? Safest left in the ground well away from where people could be exposed to it. Which “hump” is that one exactly? I see no communication company or experts predicting a hump. I assume you have statistics to back that up? Isn’t most asbestos exposure a result of people doing work not realising it’s there? Isn’t leaving asbestos where is will need people for repair lines or run FTTHoD just asking for accidental exposure? afaik there is no legal requirement for Telstra, or any other utility with pits/pipes containing asbestos, to replace all material containing asbestos. If the government now requires this to be part of the NBNCo-Telstra deal then the government is going to have to pay for it. Over to them for a decision, and the money. IT IS Part of the $11Bill deal Between Telstra and the NBN, You and most people under 30 may not be aware of this or many other things, but it has been a well known issue within the industry for over 30 Years. It was part of the negotiations and is part of the Fit for Purpose clause. Telstra has been paid for it. and in fact I believe if pipes are not useable Telstra is obligated to provide alternative pipes. At last we’ve got the truth from Turnbull. He also stated that Labor’s Shorten was conducting an asbestos scare campaign! Gee I thought it was the Opposition/News Limited with all their screaming and shouting yesterday in Parliament and pages of Newspaper bile. Turnbull’s says the Liberals were going to largely leave asbestos where it is. He didn’t explain who was going to be working in the asbestos pits installing his node cabinets and seemed to suggest that it would all be connected up without accessing the pits, he’s obviously hired Samantha Stevens. The dishonesty is disgusting. How many times has Turnbull been questioned on FTTHoD costs? How many chances has he had to say “We just mentioned it as a posibiliy but have no intention of doing it”. Now it’s “future governments” that may install it. Sorry, but how many lies (or if you prefer, how disingenous) does he have to utter before certain people take heed and look at the wording of everything he says or writes, as other people have, they too start looking at how he words things to see reality from bull excrement. Did Tony Abbott forget his own policy or re-write it on the fly? The last possible imitation of sanity has abandoned Australia’s National Broadband Network debate, with opposition leader Tony Abbott accused of abandoning his party’s “DIY fibre” policy to save Australians from exposure to asbestos. Which it cannot possibly achieve. The FTTN-plus-DIY policy was already subject to criticism on the basis of cost to consumers – that it would create a digital divide between those that can afford the cost of a fibre pull and those who cannot. In the face of the unsurprising discovery that old civil infrastructure in Australia includes asbestos, independent MP Rob Oakeshott has said the Liberal leader plans to abandon even that economic rationalist DIY option. Abbott told parliament that under his government “pits and pipes “will not be touched” over last 500m,” Oakeshott said on Twitter. TAbbott just ruled out any option of voluntary fibre to the home as pits and pipes “will not be touched” over last 500m.He’s making it up! True or not, it’s a clear indication that we can no longer expect sanity in this debate. Do read the article, practical reality. The Libs’ broadband plan doesn’t plan for the future, it only plans for the 24 hour news cycle. They are getting more and more pathetic every day! I have to disagree with everything Turnbull says with regards to not accessing pits or ducts from the Node to the premise. IF my copper is not up to scratch and therefore cannot handle the minimum spec of 25Mbps that he is proposing, do i get new copper or a fibre cable? Either way, to meet his requirements i’m going to have to get 1 of those 2 things, are they going to install entirely new pits and ducts to get that new cable from the node to me? or are they going to god forbid, use the existing ones and then break his promise of leaving the asbestos undisturbed? It is just another lie from the Liberal camp, they can’t guarantee that nobody will disturb the asbestos in the pits and ducts between the node and premise because they simply can’t guarantee that everyones copper cable is 100% perfectly capable of meeting their 25Mbps min speed. The asbestos in Telstra’s pits is not the NBN’s problem. But the NBN’s rollout time and the cost to Australian taxpayers will be affected by whatever work is decided needs to be done to remove it. The safest thing for asbestos is for it to be left where it is. So the NBN-related work that Telstra is doing should only be delayed for as long as it takes for the asbestos that needs to be disturbed to get that job done is sorted out. Then, since the rest of the asbestos will have to be dealt with at some time, Telstra have to go back and remove the rest of it. Telstra must be salivating at the prospect of Abbott and Turnbull getting into government. Not only will they get to keep the 11 billion and not have to shell out to get rid of all the asbestos, Turnbull will offer to take the asbestos ridden pits off their hands, and eventually when we desperately need fibre, contract them to clean up their own mess! The mind boggles. There is only one solution to this issue, we need to get rid of this really BAD Government. Labour is the only real cause of cancer in this country today. Ah there’s a gullible simpleton in every pack, Murdoch would be very happy with you for swallowing his LNP propaganda! He is obviously talking about work (labour) causing cancer. It wasn’t a political comment. Who could have looked at enough information to form an opinion like that and not know how to spell Labor? No one is that stupid. Ergo, if you are closer than 500m to the node you wont be connected? -Sorry we had to install a node <500m from your home, but we are not allowed to touch the final 500m so we will connect you to one further away. Is anyone collating a list of contradicting statements? Could be interesting to see a summary, with dates it could track the weekly backflips. Even better a column divided by topic and comparing the two parties utterings. could it end up being 110% the governments fault and not Telstra’s at all because it was safer for them to leave it in the ground rather then go around digging it up? should the current Telstra be blamed at all ? if it was not for the NBN these pits wouldent of been dug up at all? I love how everyone is so reluctant to lay the blame where it deserves to go. Not only did Telstra use Asbestos in the first place, they also forgot it was even there, in multiple locations in their own network. The main difference between the static asbestos sheeting in your house and comms pit enclosure that has cement with asbestos in it, is that it’s usually not being worn done or broken up without due care. We came across several issues where Telstra pit lids were being worn away by foot traffic potentially creating airbourne particles. If you work on a factory or business park that’s fairly old, you will find that there are a number of “abandoned” Telstra comms pits which they no longer maintain (as they are on your property). Looks like the classic 50’s fibro Commission Homes with a Telstra Pit out front. Interestingly the author fails to differentiate between number of remediated pits and ducts (supposedly ahead) and remediated Fans (Whether a Fan is ready to be installed and declared) that is a large part of the delays, partial fans having to be done, so patchy smaller volume work load and unable to complete, install and declare the area .